Calling all mountain bikers age 18 and over! 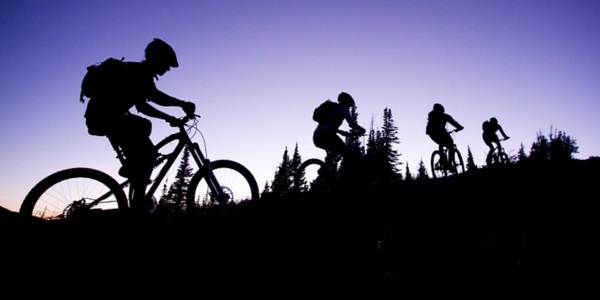 The Mountain Bike Unit, sponsored by the National (NPS) and State (CDPR) Park Services and the Mountains Recreation and Conservation Authority (MRCA), is looking for mountain bikers who might be interested in joining the unit. The MBU assists in providing park visitors with a quality outdoor experience and preserving natural resources while patrolling over 60 thousand acres of public parkland in the Santa Monica Mountains National Recreation Area. 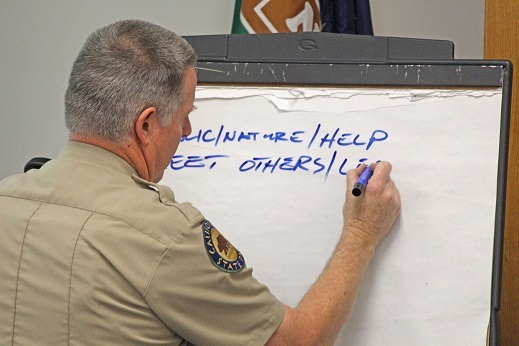 Beginning in February 2020, training will include visitor contact skills, radio use, park rules and regulations, first aid and CPR, and field training exercises. All degrees of riding experience are welcome! Patrol areas include National Park Service locations (Cheeseboro/ Palo Comado and Zuma/Trancas Canyons, Rancho Sierra Vista, and Circle X Ranch) and State Park locations (Malibu Creek, Will Rogers, Point Mugu, and Topanga). In addition, we patrol MRCA areas near metropolitan Los Angeles. You patrol with an MBU partner, self-scheduled on the MBU website. Eight hours per month average is what we ask. Other activities in which the MBU participates include the Youth Adventures Program which offers disadvantaged youth an opportunity to enjoy mountain bike experiences in the parks, plus assisting in such events as Wheels to the Sea, the Los Angeles Marathon, and the Ventura County Fair. The next orientation meeting will be at 9:00AM on a Saturday, January TBD, 2020, at the King Gillette Ranch Auditorium. This will be an indoor meeting to learn more about patrolling with the MBU. Bring your bike and helmet, and if the weather is good, we'll go on an optional fun ride after the presentation. For more information and to be added to our mailing list, contact our Contact Administrator on our website. Take Hwy 101 (Ventura Freeway) to the Las Virgenes/Malibu Canyon exit. Head south on Las Virgenes Road and continue to Mulholland Highway, about two miles. Turn left onto Mulholland Highway and immediately look for the King Gillette Ranch entrance on the right. Take the Santa Monica Freeway (I-10) west to Pacific Coast Highway north. Travel approximately 12 miles and turn right onto Malibu Canyon Road. Continue on Malibu Canyon Road for approximately seven miles. Turn right onto Mulholland Highway. Immediately look for the King Gillette Ranch entrance on the right.